National Memorials are a special kind of national park unit – memorializing a historic person or event. One of these is the Flight 93 National Memorial in southwestern Pennsylvania, a memorial to the heroism of the passengers and flight crew on that fateful day in September. 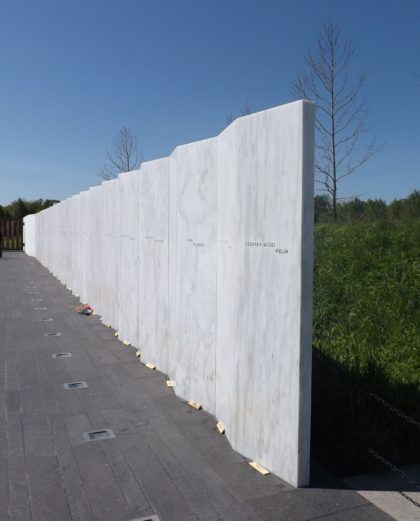 The Flight 93 National Memorial is within driving distance of two thirds of the nation’s population – only an hour and a half from Pittsburg and only five hours from New York City. It doesn’t take long to visit, for most it will be an hour or so. There is a visitor center with exhibits located behind tall Memorial Walls and a Flight Path Walkway. A mile from the visitor center is the Memorial Plaza. There you can take a 1/4 mile walk way along the crash site and debris field, leading to a Wall of Names. NEW at the Flight 93 National Memorial is the Tower of Voices, a 93 foot tall musical instrument with forty wind chimes, representing the forty passengers and crew. We didn’t get to see this but it sounds amazing. It is just now complete, being officially dedicated on Sunday September 9, 2018. There is extremely limited parking at the memorial, so it is best to go early in the day! 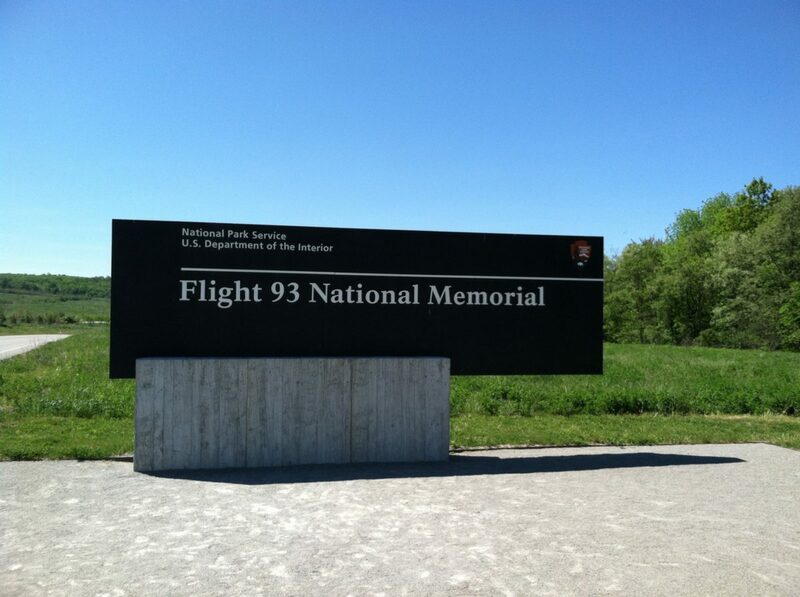 Flight 93 National Memorial is just one of twenty-nine National Memorials in the national park system; 10 of them in Washington DC. They range from memorials to past presidents to the story of how the border with the US and Mexico was decided; from Spanish conquistadores, the War of 1812 and the American Revolution, to the Civil War and World Wars; from Native American and African American history to a horrendous flood and the history of flight. It’s a pretty diverse lot. 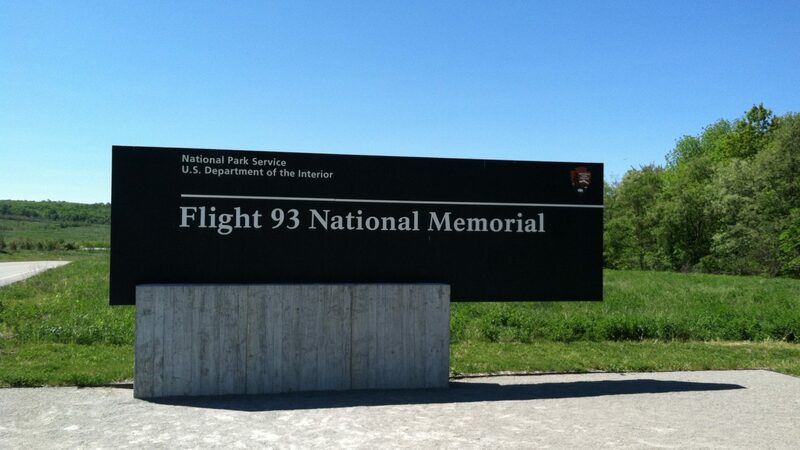 Flight 93 National Memorial is just one piece in our nation’s fabric of history. Make a pledge today to visit them all.